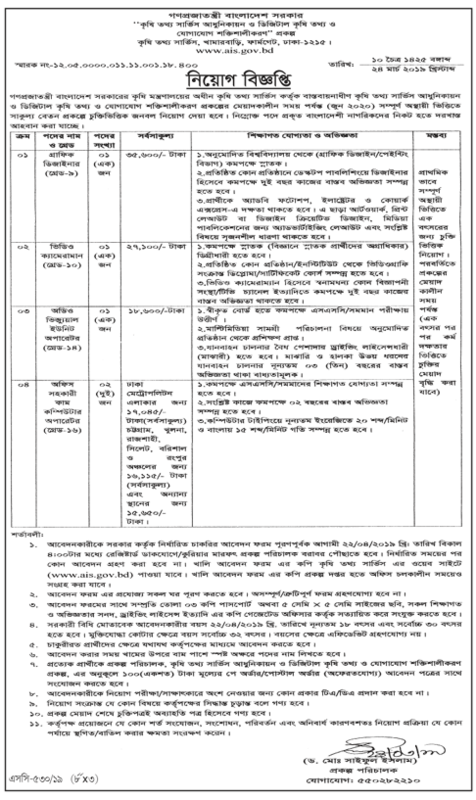 The Department of Agriculture Ministry of Bangladesh has published the notification of recruitment. All SSC / Bachelor / Degree Pass students are invited for application. The Department of Agriculture has played an important role in providing the best quality yields in solving the problems of agriculture in Bangladesh. The salary of the recruitment candidates will be 16,999 / – 34,999 / -. The last time to send the CV, till 11 – 22 April, 2019. See more details below in the notice given below.